François Schammo is born in 1978 in Luxembourg. He is laureate of the Music Conservatory of Luxembourg-City where he obtained the final diploma in French horn and in chamber music in the class of Professor Carlo Pettinger. From 2001 to 2004 he studied at the „Staatliche Hochschule für Musik“ in Trossingen (D) where he graduates with the French horn master diploma „Künstlerische Ausbildung“ in the class of Professor Francis Orval. Actually he is pursuing studies in conducting at the same Music College in Trossingen with Professor Toni Scholl, where he will graduate with the final master diploma in 2011.He was a prizewinner of the National Youth Competition of Luxembourg in 1993 and 1994. He won a scholarship to participate at the „International Music Camp Peacegarden“ in the USA. 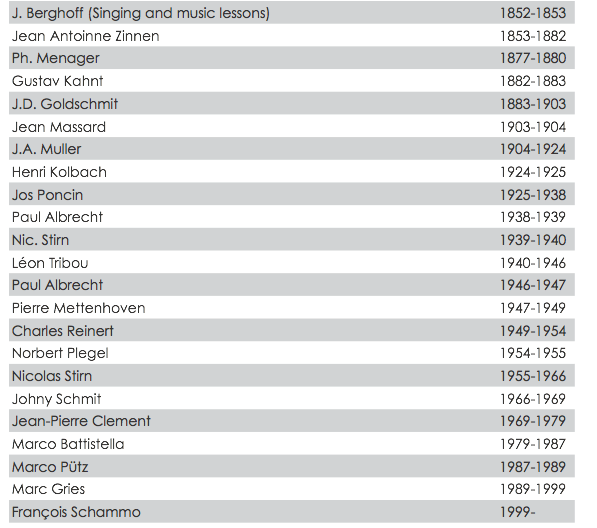 He was a member of the European Union Youth Wind Orchestra in 1994 (Portugal), 1995 (Luxembourg) and 2002 (Italy) and the Symphonic Youth Orchestra Saar-Lor-Lux in 1995. He played with the „Luxembourg Philharmonic Orchestra“, „Liège Philharmonic Orchestra“ (B), „State Police Orchestra Baden-Württemberg“ (D).Since 1995, François has participated at various master classes in Europe, Canada and the US, with Frøydis Ree Wekre, Dr. Steven Lawson, André Cazalet, Nico DeMarchi, Roger Bobo and Enrique Crespo as well with Marco Pütz (orchestration), Henrie Adams and Alex Schillings (conducting). In 1996 he becomes a member of the Luxembourg Military Orchestra, where he occupies the position as Solo Horn. He conducts the „Fanfare Royale Grand-Ducale Luxembourg“ since 1999 and was conductor of the Youth Wind Orchestra „Prince Guillaume“ from 1998 to 2007. He is also a member of various brass ensembles as „Les 5 Gourmets Brass Quintet“, „Symphonic Brass Luxembourg“. 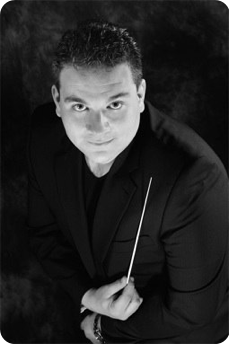 François Schammo is teacher at the UGDA Music School since 1998 and conductor of the National Youth Wind Orchestra Luxembourg of the National Music Federation Union Grand-Duc Adolphe (UGDA) since 2005.